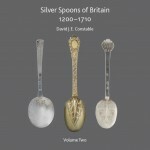 This is both volume 1 and volume 2 of Silver Spoons of Britain 1200 – 1710. 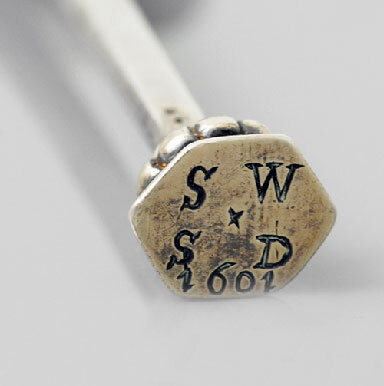 Silver Spoons of Britain 1200 – 1710 traces the story of English, Irish and Scottish silver spoons and their makers from their humble beginnings with an acorn knop in 1200 through to the dog nose spoon of 1710. The story is told by focusing on particular spoons that reveal the features of the different styles made in England, Scotland and Ireland. It is designed for the complete novice as well as anybody with a passion for the subject. The majority of the photography has been undertaken by Stephanie Cripps in surroundings ranging from pleasant to underground. 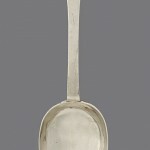 Other images have been supplied by museums themselves and one or two are catalogue scans as the spoons were not available. In total there are about nineteen hundred images. 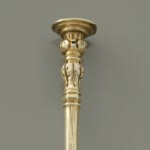 In researching the spoons David Constable had the good fortune to handle in excess of twenty-five collections (a number of which are in private hands and will remain anonymous) and also had access to a number of spoons through dealers, auction houses and livery companies. Museum collections were a valuable source; all of these are credited in the appropriate entries, with the museum number to assist you if you wish to contact the museum to ask for an appointment to handle the spoons. David found doing that, and hearing the stories to be learned about them, a memorable experience. 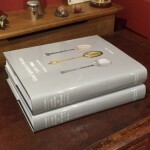 The book has now launched and shipping has commenced. Click here to see some photographs from our launch event. It was a real privilege to spend a couple of hours leafing through Volume One of your wonderful ‘Survey’ and having you explain and justify so much of what you have done. The amount of thought that has gone into it’s production – use of colour, the sheer number as well as the originality of the photographs, to say nothing of the quality, the provenances and so many spoons as well as the most prescriptive ‘introductions’ to each section. It was a real lesson and I was happy to ‘sit at your feet’ and acknowledge your mastering of the subject. The sheer amount as well as the depth of research involved has produced a work of remarkable scholarship. I can see it will be the ‘benchmark’ for many years to come. I look forward to delving into it in much more detail. What a wonderful evening the Book Launch was. Meeting so many old friends, many of whom I had not seen for so long. I read the book until the early hours! It was so good to see you and Grace again. I have just completed it and must say that it is really most excellent. The writing and descriptions are so clear and understandable, and the photographs and choice of ‘shots’ could not be better. 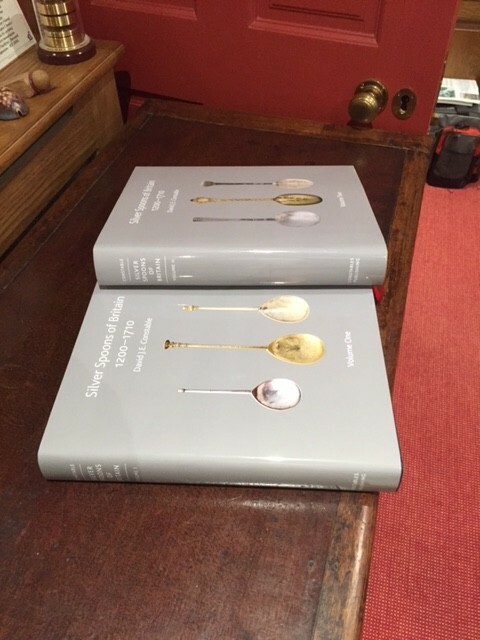 It is really what spoon collectors have been waiting for for years, and it adds so much to the knowledge and understanding of early spoons. I am confident that there is, and will be, a great demand for the two volumes and they could easily encourage new collectors to take up the search and study. For you it is a great achievement. Thank you for your kind words, I am so thrilled that I have been involved in the task these last years. It has been so exciting and fascinating and I feel that I have learnt much as a result of it. With thanks and very best wishes. Thank you very much indeed for inviting me to your new book launch on Tuesday evening and for most kindly signing my copy of your book, I enjoyed it very much indeed. It was a very great pleasure to meet you again, and I was very glad indeed to see such a good attendance at the launch and in such prestigious surroundings. Looking at your new book during the launch, revealed to me that it is indeed a most excellent publication, with excellent, well researched and comprehensive text and most superb photographs. It is a very well laid out for easy and quick reference. Your new book is most certainly a must have book for all libraries and for all serious collectors of spoons and the finest quality antiques. I am greatly looking forward to reading, studying and enjoying your new book over the coming weeks, months and years. My Auntie Dulcie was a blacksmith’s daughter who lived in a tiny Suffolk village. She was also my godmother and, once when I was staying with her at the age of 7 or so, she showed me one of her treasures. It was a silver spoon, carefully wrapped in tissue paper and kept in her dressing table inside a special box. Many years later I encountered David Constable and as a result entered the world of spoons after that tentative first step. It seems to me that in some ways his background has a connection with that of my aunt. 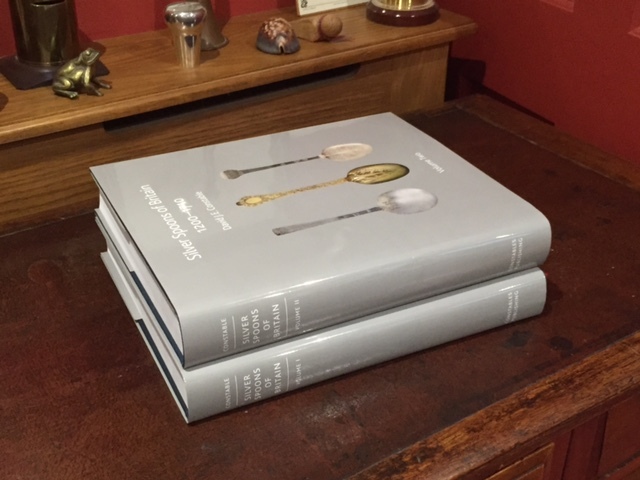 Over the years of editing, updating, adding, rewriting, checking and indexing – first David’s book on the Benson Collection and then his latest work – I have become more and more involved with spoons. I have inspected those held at the Fitzwilliam Museum in Cambridge and the Ashmolean in Oxford. 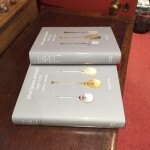 On a visit to the Parker Library in Cambridge in 2015 I diverted from the Anglo-Saxon manuscripts when I espied a display case containing spoons. They were the sixteenth-century apostle spoons given to Corpus Christi College by Archbishop Parker. I was able to find out something of their history with the help of college staff. Readers will know how many aspects of spoons there are to explore: their development, design, provenance and value among them. What intrigues me most of all is their history. In this book are many revelations about their makers, those who bought them, their users and their recent owners. The spoons lost in the River Rother in the reign of Edward I or Edward II, Shakespeare’s reference to the popularity of spoons as christening gifts in King Henry VIII, the story of the seventeenth-century Strickland Spoons – these and many more have been highlights for me. Those of you who turn the pages of this book will find endless details to hold your attention, whatever your own particular interest in spoons. It has been a privilege to be part of the process that brings those pages before you. I am sorry I had to rush at the end of your most interesting and inspiring talk about your wonderful book on spoons. The depth of research and the way you have put the book together makes identifying really simple. The photography is great too. Well done. 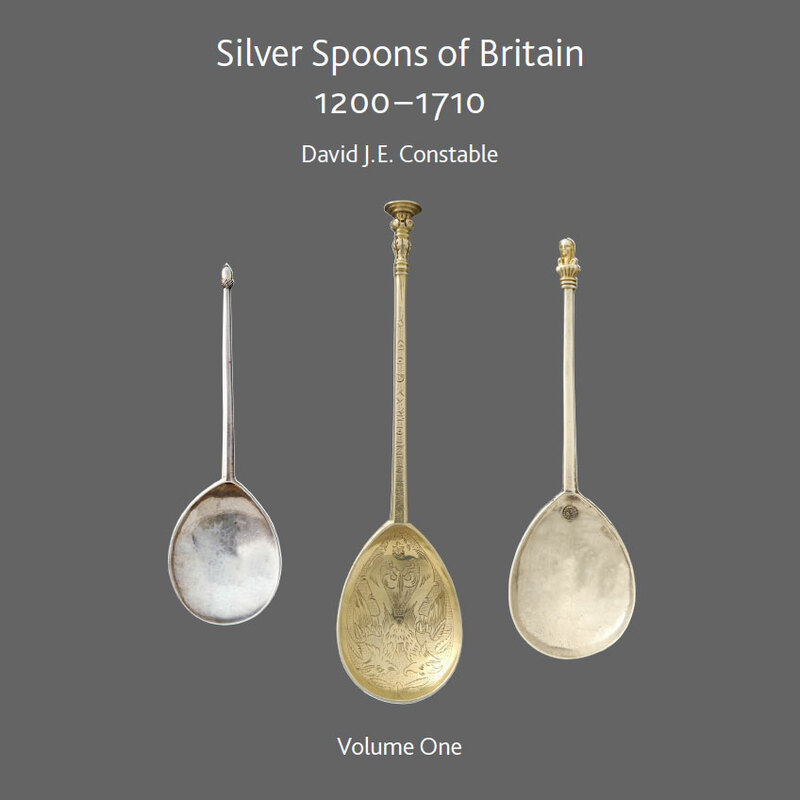 “Although many books have been produced on seventeenth century and earlier spoons in the past 40 years ‘Silver Spoons of Britain 1200-1700’ by David Constable is the first to approach the range achieved by Commander and Mrs. How in the early 1950s. He has also taken advantage of the improvements in photography and reproduction since the Hows published their book to produce a masterly new work on this important subject. In addition to the spoons in the collections of National Museums David Constable has also sourced many items from private collections (and refers to many others). 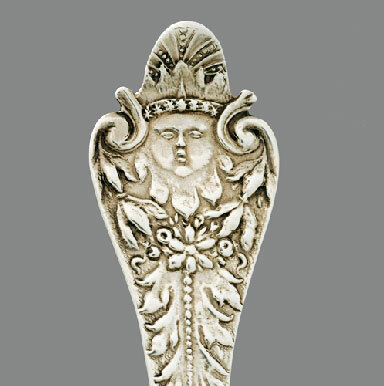 This breadth of study and the comparison of many previously unpublished spoons has enabled links between the decoration of spoons that had not been recognised before. 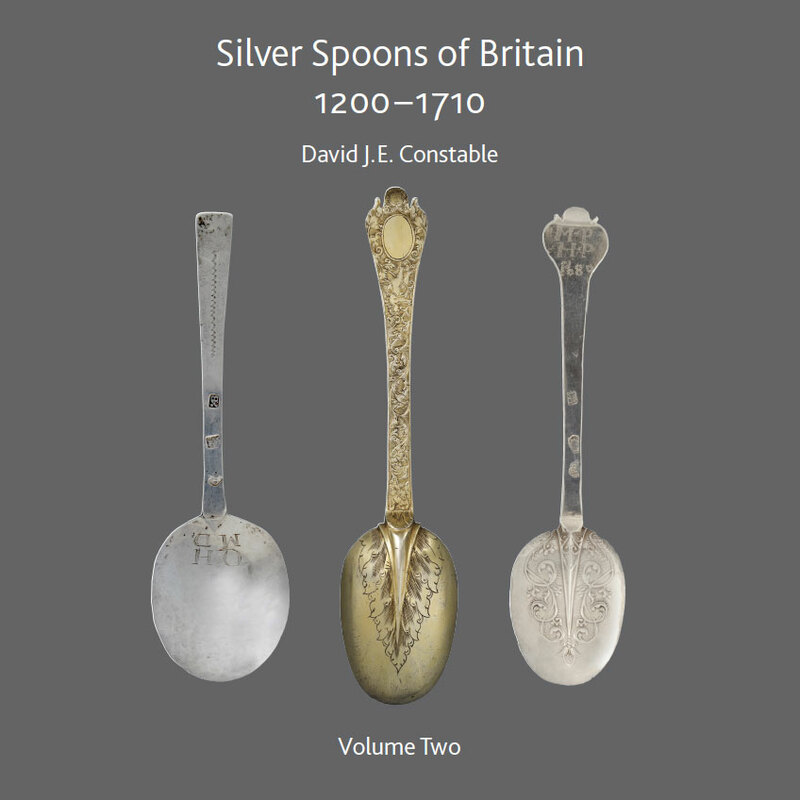 “Having seen the work and tireless enthusiasm which David has put into Silver Spoons of Britain 1200 – 1710, this work will undoubtedly break new ground, shedding light onto the ever expanding field of early silver spoons. 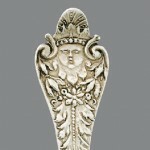 The unrivalled group of spoons lavishly illustrated not only shows the scope and variety of the field but the journey one geographic area, maker, or pattern took over many centuries. This ties what often appear simple single objects into their rightful place as important links in the story of silver.